Designed for small-block and small displacement big-block engines, these carbs are recommended only for stock to Performer level applications. They are not recommended for use on RPM or Torker II intake manifolds. Match with an Edelbrock Performer or Performer EPS manifold or other brands of similar design. Does Edelbrock 1406 fit your vehicle? 1406 is rated 4.8 out of 5 by 40. Rated 5 out of 5 by Fesjr from Eldelbrock Carb fit great ! All necessities included and filter was an excellent bonus! Rated 5 out of 5 by Bella 56 from Great Package for the Money!! Have not installed yet sure it will work fine never had a problem at Jegs!! 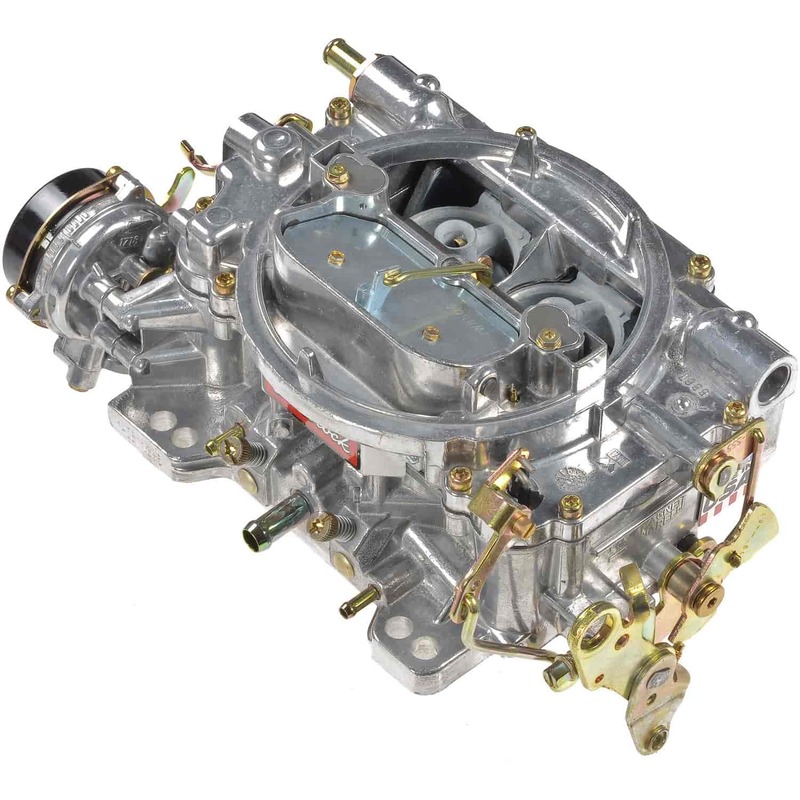 Rated 5 out of 5 by Laidback800 from Great carburetor! Best decision I ever made. I have had this for a few weeks now. It added power to the engine and gave me better fuel economy to my 1962 Bonneville. I love this carburetor! Rated 5 out of 5 by weekend burnout from user friendly easy bolt on install, everything came with it you need, minor adjustments and your ready to go! Rated 5 out of 5 by Dill_Bildeaux from Edelbrock 1406 perfect carb for my '74 F250 I looked at rebuilding the existing carb vs replacement. With a new carb at such a good price it was an easy decision. Truck previously was hard to start. Replaced the carb and it started immediately and ran very smooth. Rated 5 out of 5 by masterwong from Great Carb I swapped this carburetor out of my 57’ Chevy. I previously had a Carter AFB that was over 30 yeats old. The Edelbrock was a direct replacement for the old Carter. It was a simple process that took less than an hour with no adjustments, except for the idle. The only difficulty was connecting the ground wire to the choke. Edelbrock requires a star screwdriver, which they should include or use a Phillips head screw. My car started right up and drives so much better. I should have purchased the carburetor a long time ago instead of trying to tune my old one. I need a carb calibration kit for this 1406 Edelbrock. What kit would work with this? I have a 1479 kit (for a 1405 carb) but I don't think that it works for this carb or does it? The 1405 and 1406 the only difference is manual or electric choke? Thx. This is the kit you need https://www.jegs.com/i/Edelbrock/350/1487/10002/-1 They are different. Will it bolt directly on an Edelbrock performer 289 intake manifold? Yes, this will bolt directly to your intake manifold. I currently have one of these and am wondering if it is possible to turn it into a manual choke style instead of the electric choke?? No, Edelbrock does not offer a kit to change this over. This carburetor can be used on most 4bbl intake manifolds with a standard 4150 style mounting flange. This is a single feed carburetor and has a 3/8&quot; hose barb fitting on it for the fuel line. What spacer should be used with 350-1406. 1984 C 10 Elderbrock manifold? does it have linkage for automatic transmition kick down &amp; whats the bolt spread on bolt pattern? Will the edelbrock 1406 work on my 62 corvette 340 horse 327 with gm intake #3795397?